Are you trying to find a vegan wallet that's made in the USA? Well, look no further! 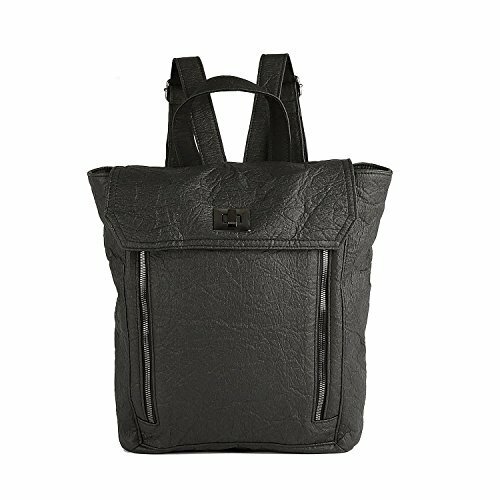 We've managed to find 7 options that are made of faux leather or other vegan materials and fabrics. 4. Men's Black Vegan Bifold Wallet Made in USA by Hold Supply Co.
What's the secret to the unique crinkled look of this leather-like vegan wallet? A combination of hemp and Piñatex, an eco-friendly material made from the fibers of pineapple leaves. Designed with four card slots and a central bill pocket. Pros: We love finding new vegan materials derived from nature. This wallet is tough and totally plastic-free. Cons: It's quite expensive for a small, simple wallet. Slimfold creates this wallet with heavy-duty, water-resistant material said to be as strong and resisilent as Kevlar and Gore-Tex. Made with four quick-grab card slots and a bill compartment. Pros: Slimfold customers are huge fans of the thoughtful design. It's incredibly thin and lightweight with a sensible credit card system that makes your cards easy to retrieve. Cons: You'd have to be a minimalist card carrier. 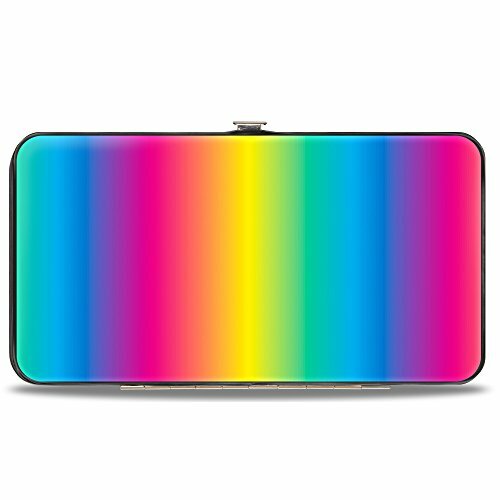 Bright and cheerful, this women's USA-made ombre wallet looks like it was dipped in a rainbow. Shuts with a metal snap closure. 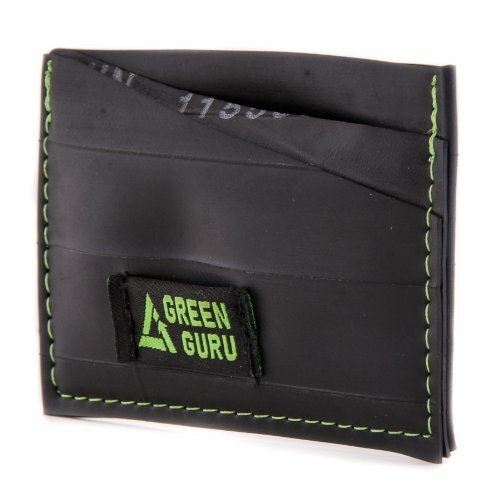 Expertly designed with a zip pouch, two bill pockets, an ID window and four card slots. Pros: This wallet is a bargain, especially because it uses real metal for extra sturdiness. It's perfect if you need serious organization. Cons: The rainbow ombre isn't for every occasion, but there are lots of options. Check out all of Buckle Down's designs on Amazon. This black vegan wallet is handmade in California and comes with your choice of color accents. 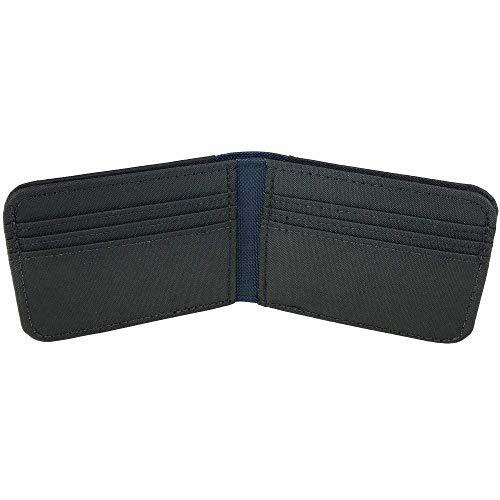 Constructed with a bill compartment and six card slots. Pros: Handmade with care, this wallet has nice laser-cut lines and clean stitching. Cons: It's pretty unembellished and very casual, which may or may not be you need. 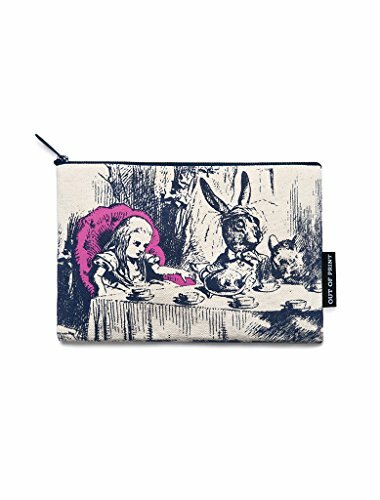 Carry your cash, cards and change together in this unisex money pouch with a nostalgic Alice in Wonderland print. Out of Print is a charitable company that donates books and seeks to raise the literacy rates in communities everywhere. Advertised as vegan: No, but it's 100% cotton. Pros: This zip pouch supports cruelty-free, USA-made and humanitarian lifestyles all in one. It's a nice wallet for kids learning money management, though all can enjoy it. Cons: Not much organization inside. 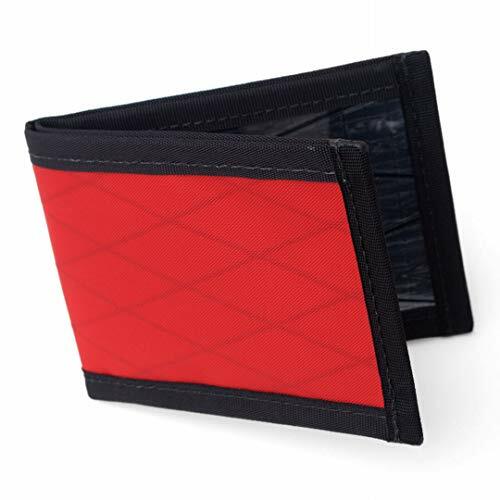 This red vegan wallet is made with water-resistant, lightweight X-Pac fabric and nylon webbing for the outdoorsy individual. Designed with two ID windows, two card slots and a bill compartment. 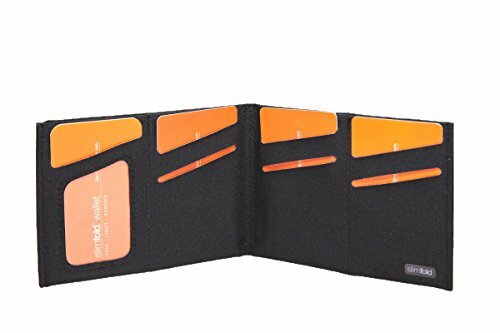 Pros: Though there aren't many card slots, this wallet is said to hold up to 16 cards. It comes with a lifetime warranty, so you know it's got to be strong. Cons: If you do stack up your cards in each slot, it's possible that you'll do some rummaging to find the right card at the register (unless you know exactly where everything is). The Amazon vendor describes this wallet as a men's wallet, but we don't see any reason women wouldn't love it, too. It's made of recycled bike tubes. Neat, huh? Built with an ID window on the back and two card pockets. Pros: It's truly innovative. Vegans, bicyclists and just curious folks will get a kick out of it. It won't empty out your pockets, either. Cons: It's a bit scant on pockets.